This industrial lease form is drafted from the tenant’s perspective, and permits the tenant wide latitude in its use of the premises. The rent is specified in a schedule. RENT DURING OPTIONS. If Tenant exercises its right to extend the Initial Term of this Lease as provided in paragraph 3 hereof, Base Rental for the first three-year extension period shall be $____________ per month due on the first day of each month. If Tenant exercises the second three-year extension period, Base Rental shall be $_________ per month due on the first day of each month. 5. TAX ON RENT. If any governmental authority, during any period of time that this Lease is in force, assesses a sales tax or other comparable tax on the rental payments received by Landlord under this Lease, Tenant shall contemporaneously pay to Landlord with each monthly payment of Base Rental an additional sum equal to the Landlord’s liability for such tax. 6. LATE PAYMENT CHARGE. Landlord may assess a late payment charge to Tenant equal to five percent (5%) of the Base Rental and any additional rental due each month whenever such payment becomes more than five (30) days overdue. 7. REAL PROPERTY TAXES. Landlord shall timely pay all real property taxes due and payable for the Premises for any period of time during which this Lease is in force. 8. PERSONAL PROPERTY TAXES. Tenant agrees to timely pay all taxes, assessments or other public charges levied or assessed by lawful authority (but reasonably preserving Tenant’s right of appeal) against Tenant’s personal property on the Premises during the term of this Lease. 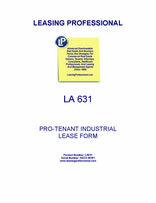 The term Tenant’s personal property as used in this paragraph, shall include all fixtures attached to the Premises by Tenant and all other improvements made by Tenant to the Premises which Tenant has the right to remove upon the expiration of this Lease and which may be separately assessed for taxation. 9. SPECIAL ASSESSMENTS. Special assessments levied or assessed against the Premises for the cost of public improvements shall be timely paid by Landlord. 10. PERSONAL PROPERTY. Tenant shall keep its personal property brought upon the Premises insured against loss by fire and other hazards and shall furnish to Landlord the insurers certificate evidencing such coverage. 11. CASUALTY INSURANCE. Landlord and Tenant will each keep its respective property interests in the Premises and its liability in regard thereto, and the personal property on the Premises, reasonably insured against hazards and casualties; that is, fire and those items usually covered by extended coverage. Tenant will not do or omit the doing of any act which would vitiate any insurance, or increase the insurance rates in force upon the real estate improvements on the Premises. Tenant further agrees to be liable for and to promptly pay, as if current rental, any increase in insurance rates on the Premises and on the building located thereon, due to increased risks or hazards resulting from Tenant’s use of the Premises otherwise than as herein contemplated and agreed. 12. LIABILITY INSURANCE. Tenant shall, at its cost, at all times while this Lease is in force, maintain in force an insurance policy or policies, naming Tenant and Landlord as insureds, against all liability resulting from injury occurring to persons or damage occurring to property upon the Premises during Tenant’s occupancy of the Premises. The liability coverage of such insurance shall be not less than $250,000 for any one-person injury, $500,000 for any one accident and $100,000 for property damage. Certificates or copies of such policies naming the Landlord and providing for 10 days notice to the Landlord before cancellation shall be delivered to the Landlord on or before the date of the beginning of the Initial Term of this Lease. Tenant further covenants to hold Landlord free and harmless from any and all liability for personal injury or property damage arising out of Tenant’s use and occupancy of the Premises, provided, however, that the proximate cause thereof is not Landlord’s negligence. 13. ENVIRONMENTAL REPRESENTATIONS AND WARRANTIES. Landlord represents and warrants to Tenant, to the best of Landlord’s knowledge, that prior to _____, 200_, (i) no hazardous material has emanated from the property of which the Premises is a part; (ii) no hazardous material has been disposed of or released upon the property of which the Premises is a part; (iii) except for hazardous material used in the ordinary course of the business activities conducted at the property of which the Premises is a part, no hazardous material has been used, generated, handled, transported or stored at the property of which the Premises is a part; and (iv) any hazardous material used in the ordinary course of the business activities conducted at the property of which the Premises is a part has been generated, used, stored, handled and removed in compliance with environmental laws. Landlord will indemnify Tenant in connection with any voluntary or involuntary action by, against or involving Tenant that, in any way, results from or relates to any breach of Landlord’s representations in this paragraph or from the discovery or removal of any hazardous material upon, over, under, in or emanating from the property of which the Premises is a part that was not or is not deposited, installed or permitted to be placed or disposed of upon, over, in or under the property of which the Premises is a part by or on behalf of Tenant, whether or not Landlord has knowledge of its presence. 14. USE OF HAZARDOUS MATERIAL. If the presence of hazardous material on the Premises caused or permitted by Tenant results in contamination of the Premises, or if contamination of the Premises by hazardous material otherwise occurs for which Tenant is legally liable to Landlord for damage resulting therefrom, then Tenant shall indemnify, defend and hold Landlord harmless from any and all claims, judgments, damages, penalties, fines, costs, liabilities or losses (including, without limitation, diminution in value of the Premises, damages for the loss or restriction on use of rentable or usable space or of any amenity of the Premises, damages arising from any adverse impact on marketing of space, and sums paid in settlement of claims, attorneys fees, consultant fees and expert fees) which arise during or after the lease term as a result of such contamination. This indemnification of Landlord by Tenant includes, without limitation, costs incurred in connection with any investigation of site conditions or any clean-up, remedial, removal or restoration work required by any federal, state or local governmental agency or political subdivision because of hazardous material present in the soil or ground water on or under the Premises. Without limiting the foregoing, if the presence of any hazardous material on the Premises caused or permitted by Tenant results in any contamination of the Premises, Tenant shall promptly take all actions at its sole expense as are necessary to return the Premises to the condition existing prior to the introduction of any such hazardous material to the Premises; provided that Landlord’s approval of such actions shall first be obtained, which approval shall not be unreasonably withheld so long as such actions would not potentially have any material adverse long-term or short-term effect on the Premises. The foregoing indemnity shall survive the expiration or earlier termination of this Lease.